Lot 4 of Van Antwerp Park. 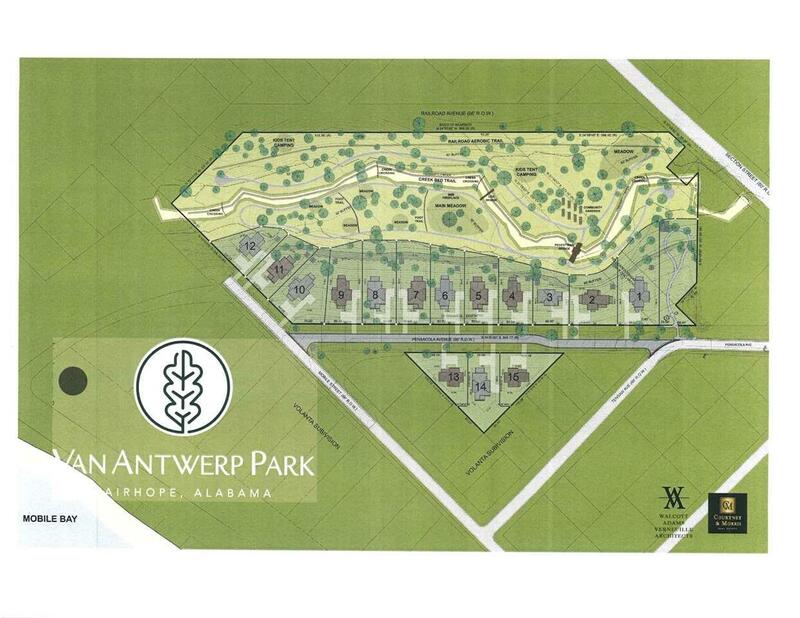 Van Antwerp Park is an 11 acre neighborhood located on a hillside in Old Fairhope within walking distance to Mobile Bay and downtown Fairhope. Seven of the 11 acres have been transformed into a private arboretum and park, which define and anchor the 15 residential home sites. The private park provides access to walking trails, a fire pit, exercise paths, and gardens. Walcott, Adams, and Verneuille Architects will design the homes, either through prototypes included with the purchase of a lot, or a custom designed home. The architectural style will be hillside cottage and offer tree house views of the arboretum and park. Listing provided courtesy of Courtney & Morris, Inc.. Listing information © 2019 Baldwin County Association of REALTORS® MLS.